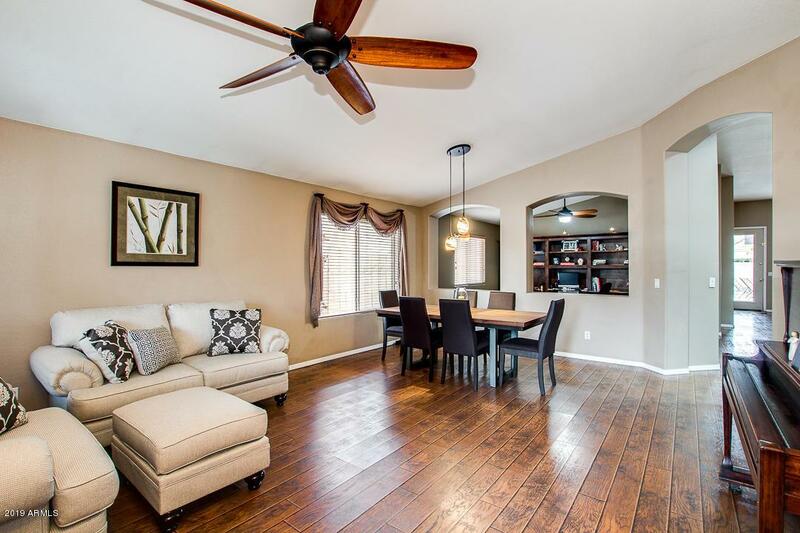 Beautifully updated pool home in desirable Ashland Ranch. 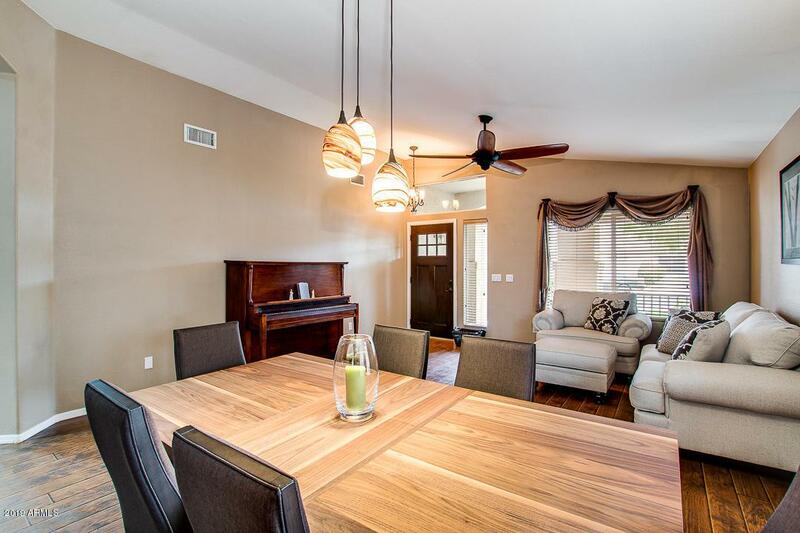 This roomy 3-Bedroom home features wood-look plank flooring throughout main living areas, large open kitchen with all newer stainless steel appliances included! Split bedroom layout with open den. 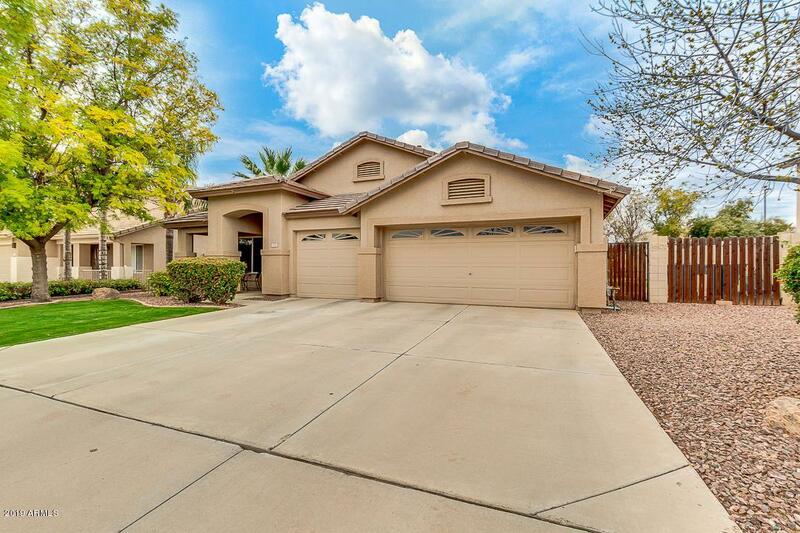 3-Car Garage with double side gate into backyard means plenty of storage for all your toys. Three exclusive neighborhood parks with play equipment & ball fields, adjacent to Eastern Canal Trail walk/bike/run path. Great location within walking distance to local Elementary School, Shopping and Restaurants. 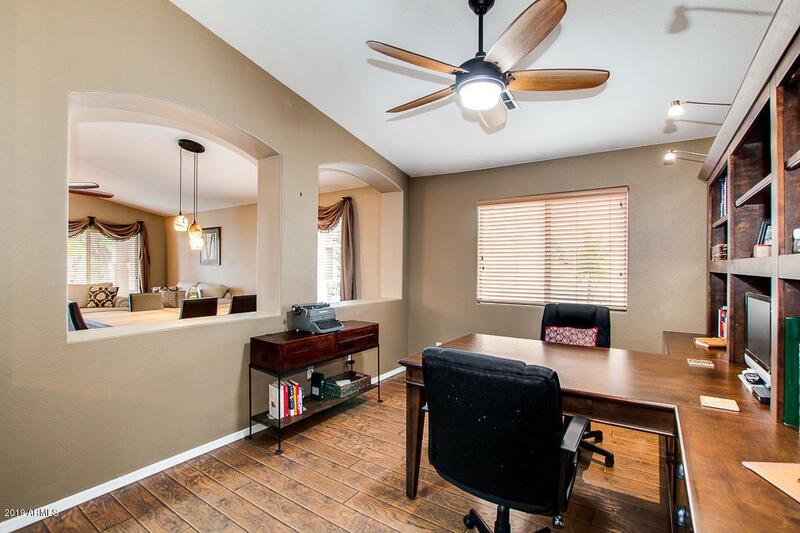 Minutes to San Tan Valley shopping/dining/entertainment complex and 2 local dog parks. Easy access to Loop 202. Great community with fantastic atmosphere makes for a wonderful place to call home!